New cannabis recipes are being created every single day with the onslaught on marijuana legalization in the USA. 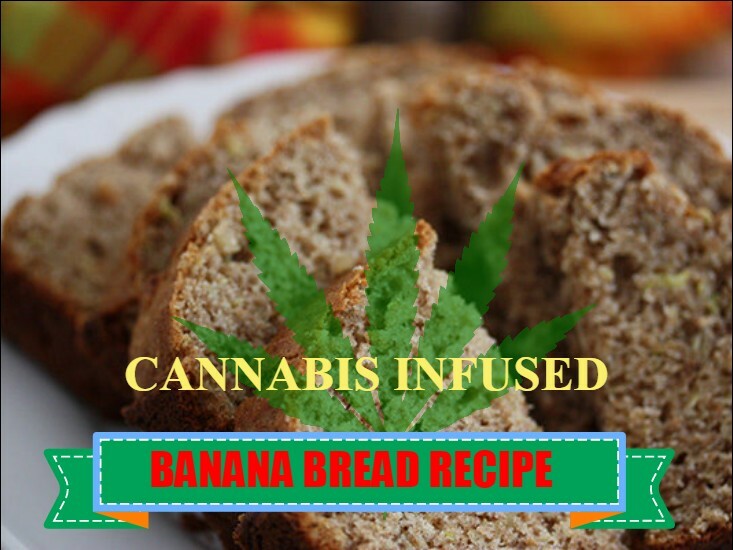 Cannabis infused banana bread is one of the lesser known recipes but is definitely not a new invention. Banana bread is delicious on its own but the taste is made even better with some of your favorite cannabis thrown in. Like most recipes, the process of making the food is actually the same except oil or butter is substituted with cannabis oil or cannabis butter for the THC effect. Alternatively, you can use your own marijuana once you take the time to decarboxylate it and infuse it into the recipe. However, this is an additional step and the following recipemakes use of cannabis butter. We have also added in some chocolate chips and walnuts to this banana classic to add some extra flavor. Preheat the oven to 325 Fahrenheit and grease up the bread pan. In the bowl, mix the cannabutter and the sugar using an egg beater. Once the mixture has been creamed add each egg one at a time. The mix should be light and fluffy. Add the bananas, milk and vanilla to another mixing bowl and mix them all together as much as you can. In the final mixing bowl, add the 2 cups of flower, 1 teaspoon of baking soda, 1 teaspoon of baking powder, 1 tablespoon of ground cinnamon and finally the 1 tablespoon of salt. Whisk the ingredients together thoroughly. Now it is time to combine all ingredients together thoroughly. Add all three mixing bowls into the large bowl and stir. Add the chocolate chips and the walnuts. When everything has been blended add to the bread pan. Let the mix sit in the oven for an hour or so. Remove the pan and let the cannabis infused banana bread sit for about 30 minutes to let it really cool off. This recipe requires a little more effort than other cannabis edibles, but it really is worth it for a great tasting treat.